Chad Gomez resides in West Haven and has been employed with CMED New Haven since 2008. Currently assigned to the Day Shift, he is a member of West Haven's North End Hose Co. #3. Chad also volunteers with Paugasset H&L Co. 4 in Derby and the Echo Hose Volunteer Ambulance Corps in Shelton. Chad is a certified Firefigter 2 and currently completing coursework to become a Fire Service Instructor. 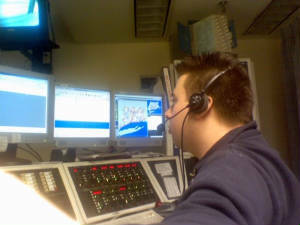 He is a State of Connecticut Public Safety Telecommunicator and is certified by the National Academy of Emergency Dispatch as an Emergency Medical Dispatcher.